In a nut shell: this book is a self help book, and ones I typically tend to not read, but I began to read this one, and I found myself finding it really interesting, useful, and helpful. It's all about the becoming the luckiest person you can be, and ways in which you can help your self, and be lucky. 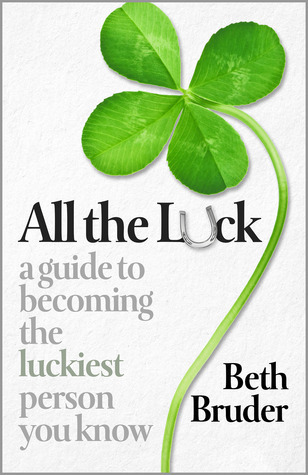 Typically, I don't really believe in luck, or being able to be lucky, but this book is very scientific in a way and factual, so it really opened my eyes, and I found it really interesting to read. There are so many ways that this book can help so many people, and I really do recommend it to anyone, whether you think you're lucky or not, because it could potentially help you, or people you know.